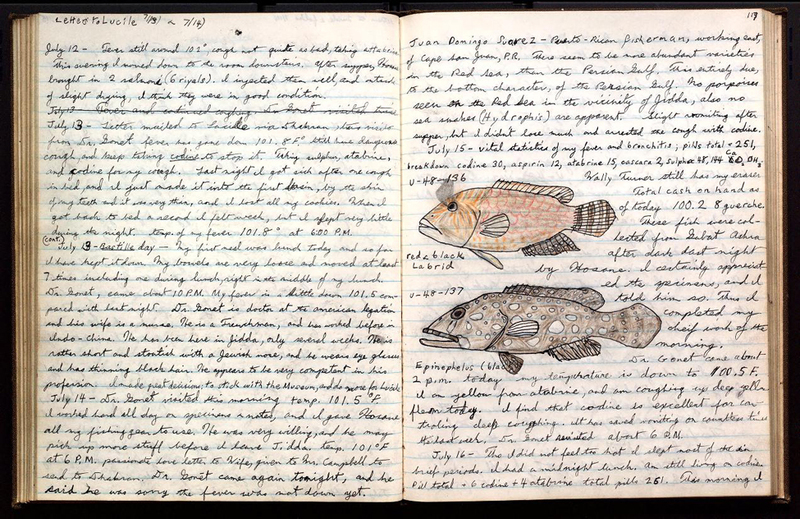 Page 117 of Donald Erdman's journal includes a drawing of a red and black Labrid [sic] and Epinephelus. The page is from a field book documenting Erdman's specimen collecting in the Persian Gulf and Red Sea under the auspices of the Arabian American Oil Company in 1948. Large-scale digitization is reshaping the library’s contribution to research, and the natural sciences are front and center. Until recently, researcher field notes and firsthand observations were difficult to digitize because of handwriting issues and formatting. 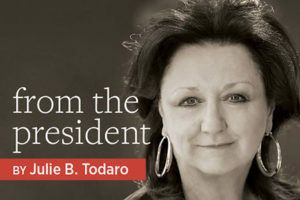 Three projects—the Field Book Project, the Biodiversity Heritage Library (BHL) Field Notes Project, and Expanding Access to Biodiversity Literature—are changing that. 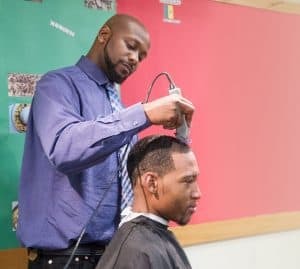 Field notes are an invaluable resource for students and researchers alike. Edward Davis, assistant professor in the Department of Geological Sciences at the University of Oregon, says, “We must ensure that future workers won’t have to search for our field books; without supporting documentation, the specimens we collect today may as well be paperweights.” Digital library consortia, specifically BHL, already provide millions of digitized items for public access and sharing across several contributing institutions. Now those collections can include field notes, too. 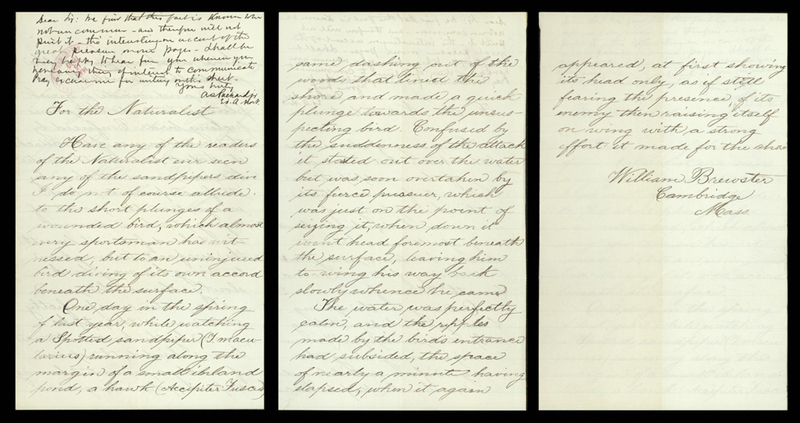 This undated letter from William Brewster (1851–1919)—a renowned American amateur ornithologist, first president of the Massachusetts Audubon Society, and a president of the American Ornithologists’ Union—to the editor of The American Naturalist records his observations of a spotted sandpiper diving into a pond to escape a hawk. Page 117 of Donald Erdman’s journal includes a drawing of a red and black Labrid [sic] and Epinephelus. 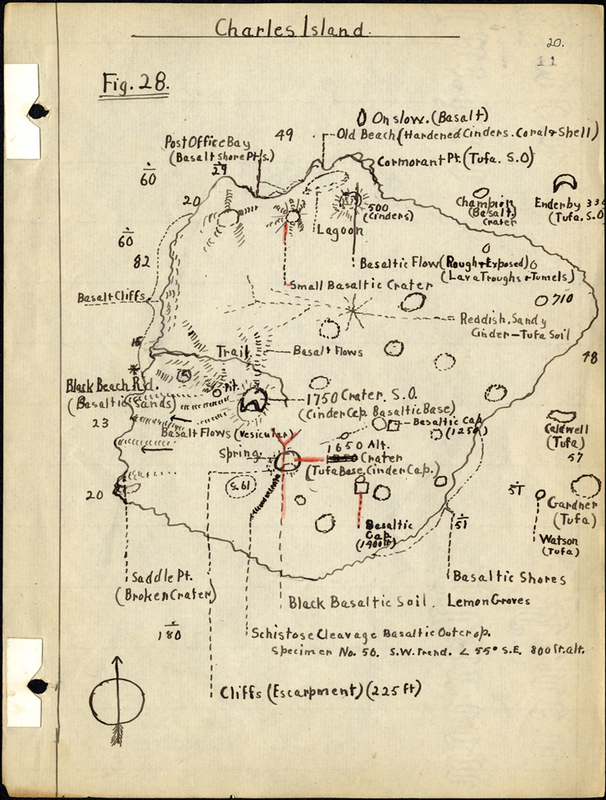 The page is from a field book documenting Erdman’s specimen collecting in the Persian Gulf and Red Sea under the auspices of the Arabian American Oil Company in 1948. Page 39 documenting Martin H. Moynihan’s study of birds on May 6, 1960. The page is from field notes on Saltator (birds), Frijoles and Barro Colorado Island, Panama, 1962. Moynihan (1928–1996) was a world authority on animal behavior, with major contributions to the study of communication in birds, primates, and cephalopods. In 1905, the California Academy of Sciences sent 11 men off for a year and a day on an 85-foot schooner destined for the Galapagos Islands. Twenty-six-year-old Washington Henry Ochsner travelled as the expedition’s geologist, and his field book from the expedition, contributed to BHL by the California Academy of Sciences, represent a close and careful record of his scientific observations, including geological survey information and inferences about how geological features were formed. 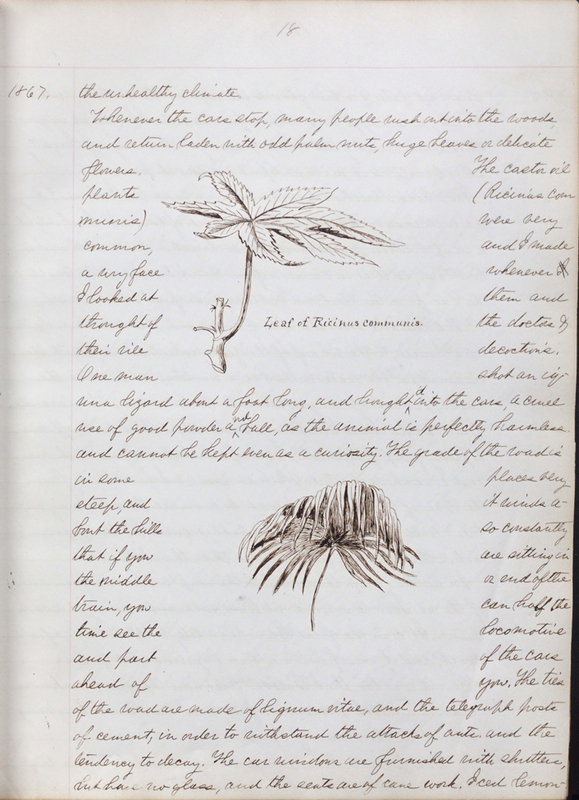 Handwritten diary from William Whitman Bailey, covering April 1867 to April 1868, when Bailey was botanist to the United States Geological Exploration of the Fortieth Parallel. Illustrated with drawings and mounted photos. George Engelmann was a German-American botanist who was instrumental in describing the flora of western North America. 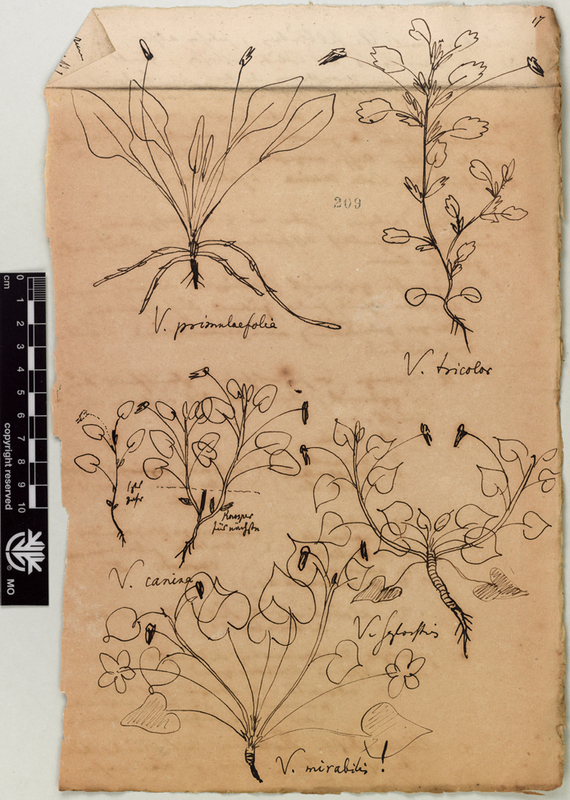 This drawing is from a collection of notes on 23 botanical families. The folders contain original handwritten notes and botanical sketches (some in color), some written and drawn by Engelmann, some sent to him. This drawing includes species of Violaceae. The Field Book Project began in 2010 as a joint initiative between the Smithsonian Institution National Museum of Natural History (NMNH), Smithsonian Libraries, and the Smithsonian Institution Archives. Currently led by Smithsonian Libraries Associate Director Martin Kalfatovic and Smithsonian Institution Archives Director Anne Van Camp, the project has already cataloged more than 7,500 field books across eight departments within the Smithsonian and plans to add another 2,600 within the next two years. 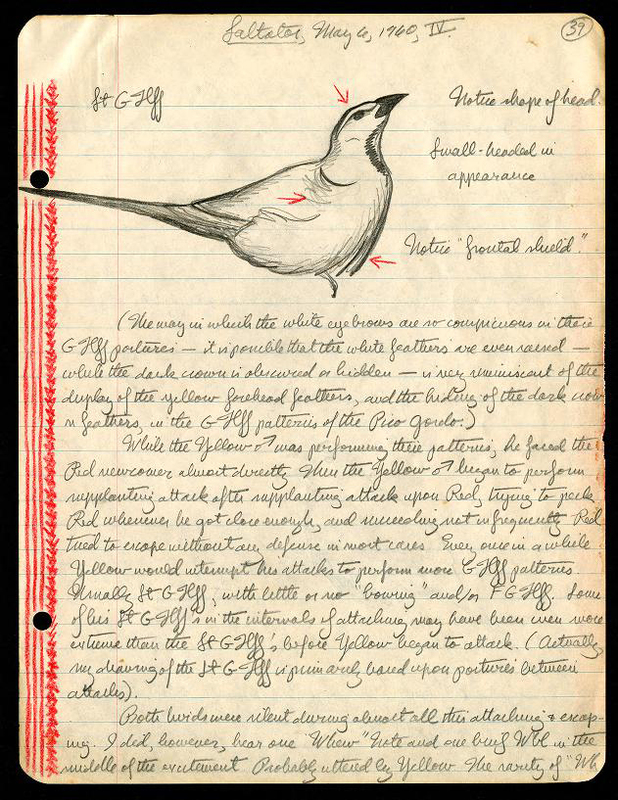 The BHL Field Notes Project, run by Smithsonian Libraries and the Smithsonian Institution Archives, is a collaborative project among nine US partners to make field notes available on library consortia such as BHL, the Internet Archive, and the Digital Public Library of America. Some of those partners include the Yale Peabody Museum of Natural History and Harvard University Herbaria. 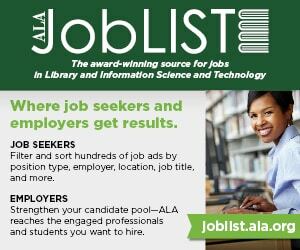 The Expanding Access to Biodiversity Literature project, which began October 1, 2015, aims to include 100 new content providers and 50 in-copyright titles. The project will assist these content providers with digitization, metadata creation, and curation by September 30, 2017. 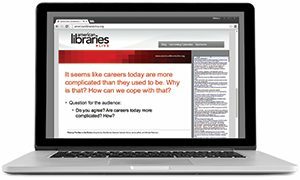 Many of the involved content providers are small institutions that would normally not be able to contribute to a digital library consortium such as BHL because of lack of funding or training. The goal of all three projects is to provide users with easy access to primary source documentation in the natural sciences.